The gable is of the Star of the Sea church of 1841, closed 1989. To the left of it is the graveyard and the ivy-covered gable of the medieval church. 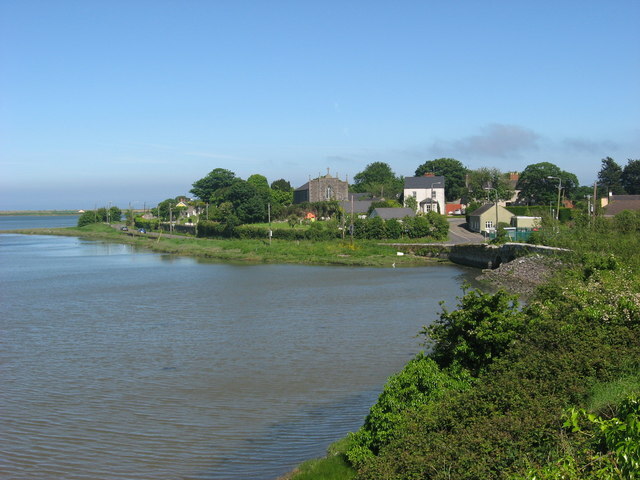 The Boyne at high tide has covered the mudflats. This page has been viewed about 354 times.